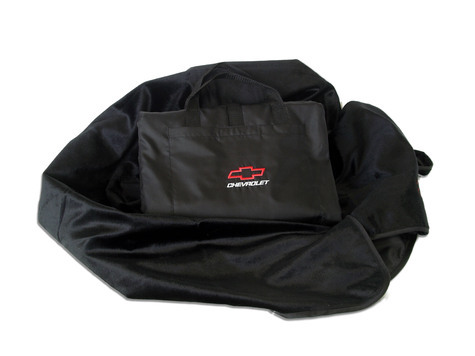 This versatile and convenient licensed Chevrolet Motorsports Weatherproof Travel blanket is double sided for extra durability! 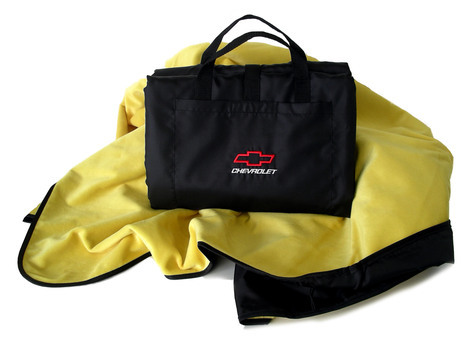 Luxurious Microfiber on one side and water resistant nylon oxford on the other side, this blanket provides soft comfort while keeping moisture out! 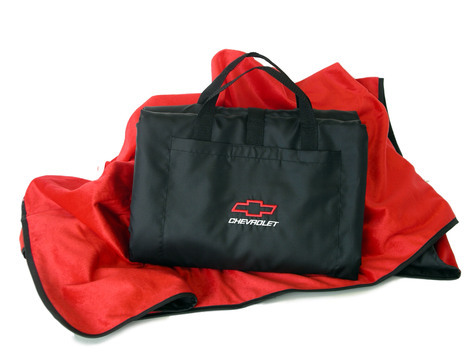 This compact and convenient item features strong carrying handles and the Chevy Motorsports logo embroidered on the side pocket and lower corner of blanket. 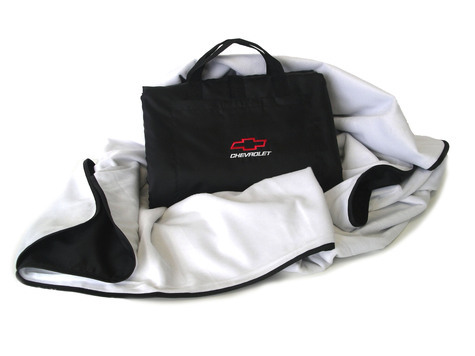 Great for sporting events, camping or picnics. Available in 5 colors: Black, Royal Blue, Red, Yellow and White. Size 50" x 60". Washable. 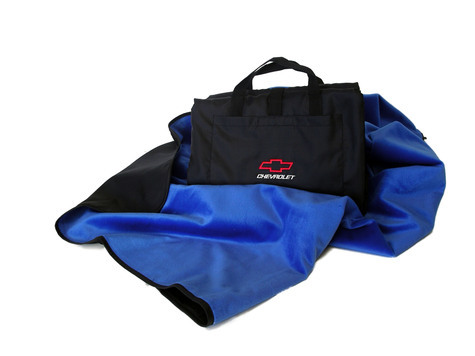 Blankets, Chevrolet, Motorsports, Microfiber, Fleece, Chevy, Waterproof, Weatherproof, soft, comfortable, car accessory.